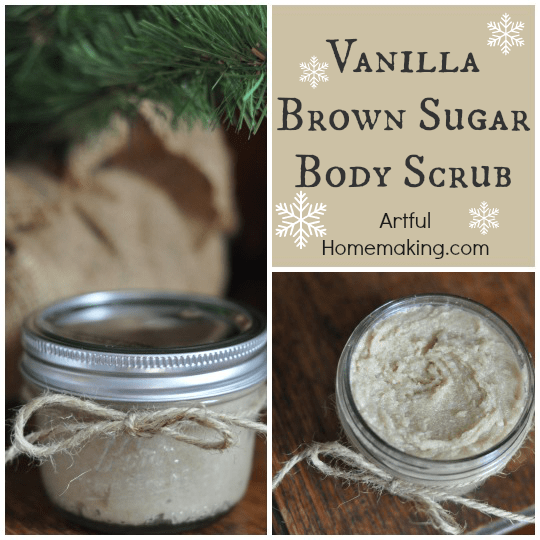 This simple vanilla brown sugar body scrub makes a wonderful Christmas gift, or just make some for yourself! 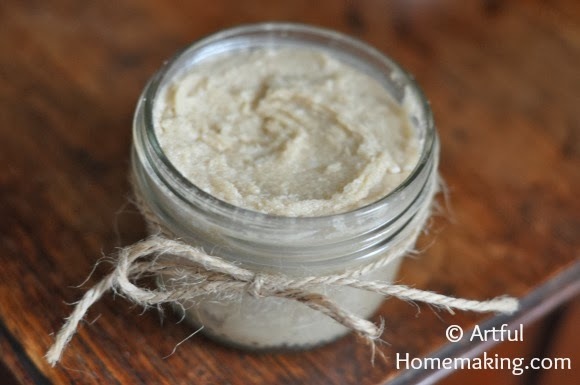 Last year my husband gave me a gift which included a little container of brown sugar body scrub. I love to use it in the shower before I use soap. The sugar granules are exfoliating, and the coconut oil is moisturizing. I really loved it, but it was too expensive to buy more of it! So I was thrilled to find that I could make it myself for a very inexpensive price. It’s so simple that even children can make it (if you can keep them from eating it!). Mix all the ingredients together in a bowl. After everything is well-mixed, transfer the mixture to a glass jar or other container with a lid. The recipe above filled this one small jar and about half of another one. This recipe yields a very faint vanilla scent. 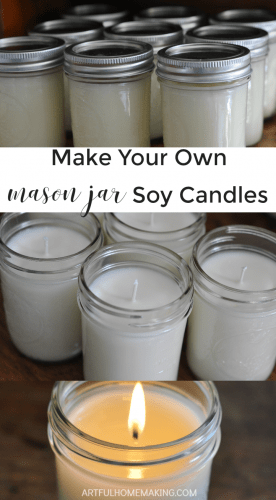 You can also add essential oils (like lavender, lemon, or whatever you like) or spices (like cinnamon or pumpkin pie spice) to make different scents. You can also use different oils in place of the coconut oil. These will stay good at room temperature for up to two months (and usually longer). Now, wasn’t that simple?! This makes a very inexpensive and simple gift. 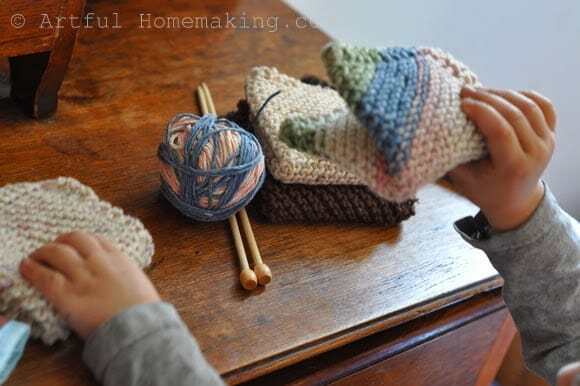 It would be very nice paired with some hand-knit washcloths in a thrifted basket. Did you melt the coconut oil before or not? Does it matter? Please reply ASAP! I didn't melt the coconut oil, but if it's too firm to work with you can soften it. If it's cooler in your house and the coconut oil is super hard, it may need to be softened. Do you use refined or unrefined coconut oil? I used virgin coconut oil from Tropical Traditions, but either works fine. Are you finding that it's leaving the bottom of your tub super slippery? Yes, it does have that tendency, due to the coconut oil. It hasn't been an issue for me, since our shower has a non-slip surface on the bottom of it. Does this need to be refrigerated? 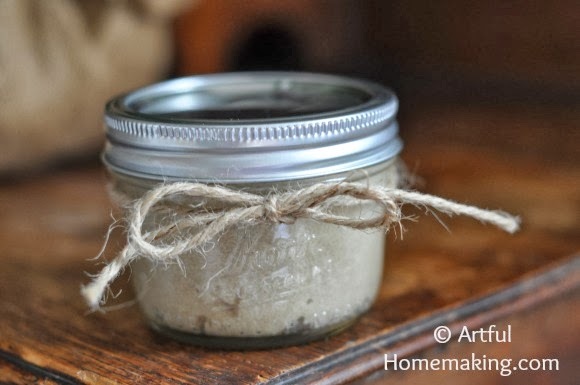 I've heard that homemade scrubs can sometimes go bad after a week if not storing in a cool place. I don't refrigerate mine. I just leave it on the bathroom counter and it has been fine. The vitamin E oil is supposed to be a preservative, so I wonder if the scrubs that go bad quickly didn't contain the Vitamin E? how many oz is your jar? Can I use Johnson's baby oil in place of coconut oil and Vitamin E? I don't know how that would turn out, but I guess you could try it! It may be more oily and not as thick…I just don't really know. Is Vitacost where you buy most of your oils? If not, where do you buy? We buy coconut oil from Tropical Traditions, Vitamin E oil from Vitacost, and we also buy a lot of essential oils from Vitacost. We also occasionally order from Swanson and I-Herb, depending on who has the best price. There are so many vitamin e oils to choose from. Which one do you suggest?